WE ALREADY know that Benoît Battistelli’s EPO has escalated its war on information to threats or retaliation against publishers, potentially impacting some of the world's largest. “What does this say about the EPI?”As recently as one day ago the EPI presented criticism of the EPO (shown above, except the older enclosed PDF and the latest PDF). 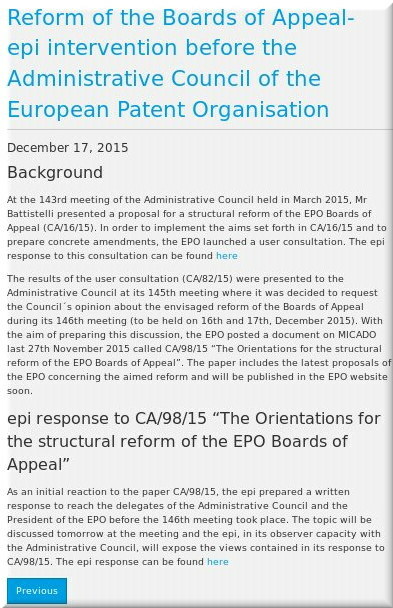 Well, the EPI has just removed its criticism of the EPO from its site (we also tested the CMS to ensure that this was definitely a deletion and not some technical error). What does this say about the EPI? Did the EPO get in touch? Perhaps some members? Why the sudden self-censorship?